City of Excellence, Welcoming School and ISB Scholarship!  News and Updates from the ISB! Today, we would like to share three exciting new initiatives of the ISB. We would also like to wish our Jewish friends a Happy Hannukah! On December 3rd, the ISB recognized Mayor Patti Garett and the City of Decatur as a City of Excellence at their City Commissioners Meeting. Decatur is a 2018 American All Cities finalist. 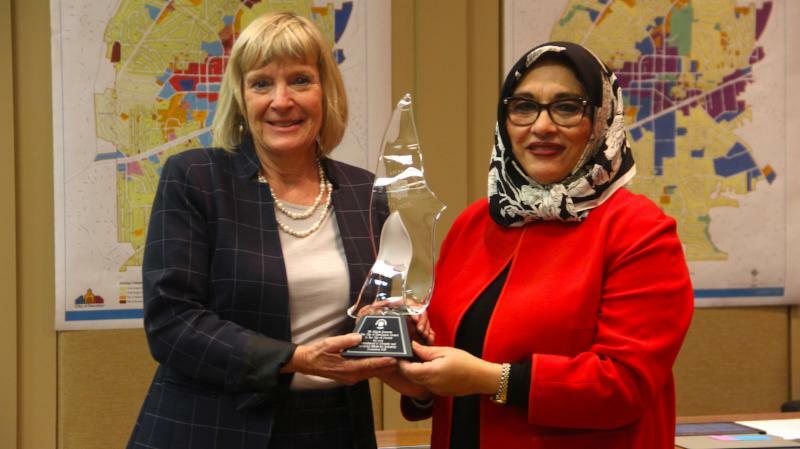 The ISB recognized Decatur for embracing and celebrating their diversity including their Muslim citizens. ISB presented Principal Brian Jones of Milton High School with the Welcoming School Award. 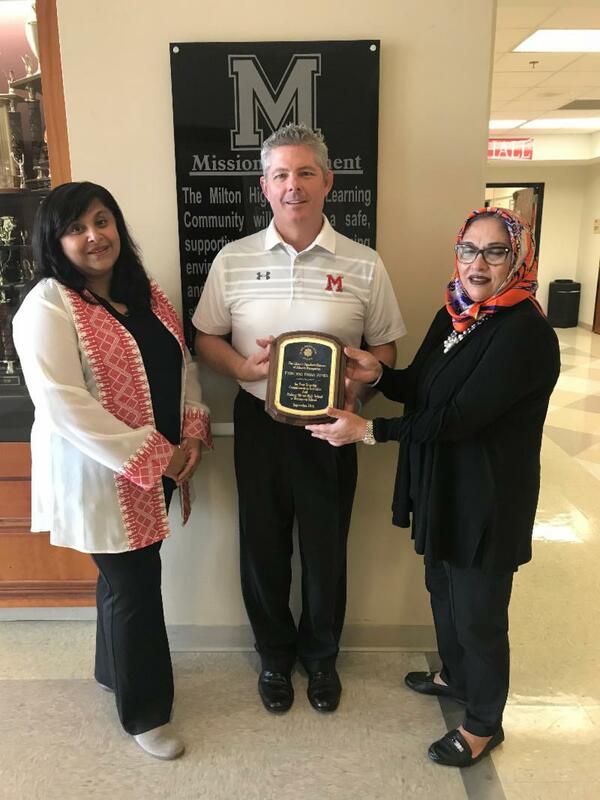 Mr. Jones was recognized for creating a welcoming atmosphere at Milton High School. Jones had made accommodations for his Muslim students and their families and friends during graduation because it was Ramadan. The ISB looks forward to working more with Milton High School. The ISB has started a scholarship program. Thank you to our Community Service Director, Amani Elghoroury, for spearheading the program. The scholarships are for community youth who are dedicated to volunteering and especially to the causes of the ISB. This year, the scholarship recipients are Salih El-Gayyar and Kareem El-Gayyar. Salih and Kareem were chosen based on their amazing track record of supporting the ISB's Summer Lunch Program initiative for many years. 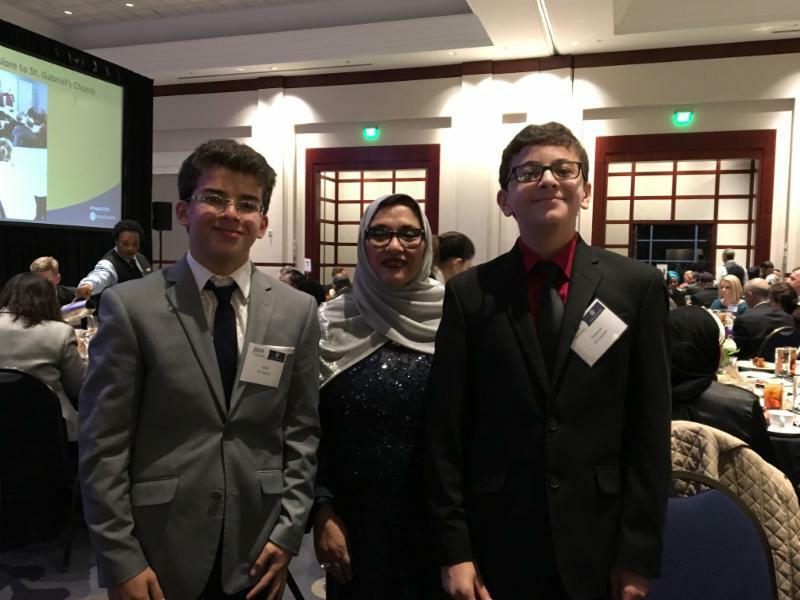 They were recognized at the ISB 2018 Gala. Congratulations Salih and Kareem!